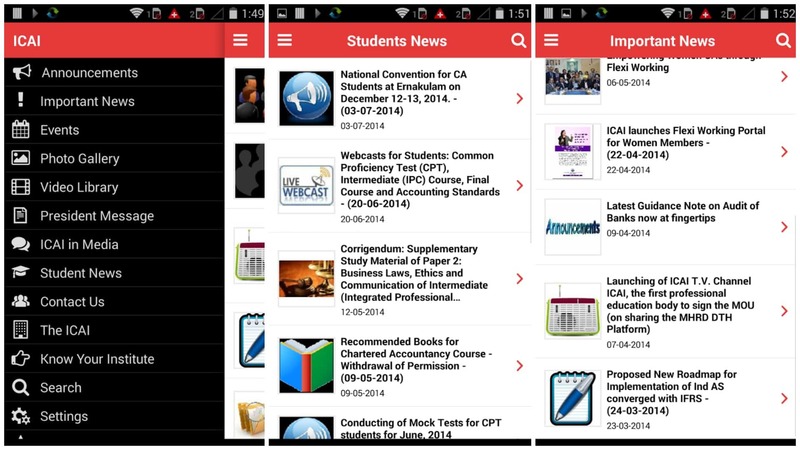 Best Android Apps For Chartered Accountant. 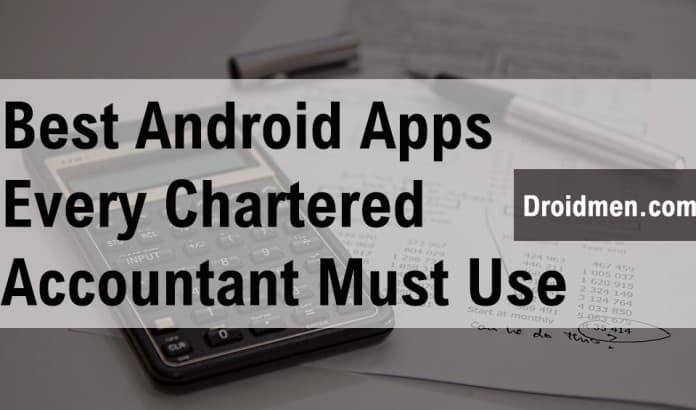 Best Android Apps For Chartered Accountants. Are you a Chartered Accountant? You shouldn't miss any of these! A chartered accountant’s office is a keeper of quite many secrets. Not very recently, an intern in an Chartered Accountants office was able to crack and view the Income Tax return of India’s richest man, Mukesh Ambani. And very recently, the Institute of Chartered Accountants of India announced restructuring the course. The restructuring involves inclusion of practical approaches to General English, Business Communication and IT. Here, we bring in must have apps for chartered accountants. The Institute of Chartered Accountants of India is the regulator of the profession. No matter how much you ignore it, the Institute has our back at all times. The Institute also launched its very app for its stakeholders and is getting much better with time. Be it exam or official notifications, press releases or trivial notices, the app is a must-have for following with the times. Books are the best friends of any Chartered Accountant. But, let’s admit it. Without Excel or Microsoft Office, our professional WORK is JUST NOT DONE. In fact, we consider excel as the greatest software on the face of the earth. Microsoft has launched the standalone Excel app for Android and Boy! It is touch and mobile friendly. So, the next time you are running late on your professional work, carry the app in your pockets with ease. There are two types of people in the world: those who have never heard of Slack, and those who can’t imagine life without it. Slack is an innovative platform for all team communication. Aesthically pleasing and easy to use, the app also boasts of integration with a dozen other tools such as Google Hangouts, Dropbox etc to facilitate team communication. And trust us, Slack would change the way your team communicates. Quickbooks Online is the best cloud accounting solution. In a space that is filled with not many competitors, Intuit Quickbooks Online emerges as a winner with ease. The application nails the practical purposes in every possible way one can imagine. With numerous customization options and business friendly features, it is the one stop for all accounting needs. A lot has been discussed about cloud computing in the CA curriculum. Yet, many CA offices face the vulnerability of data loss due to local storage, sabotage etc. Dropbox is the professional cloud storage for all our storage needs. It is secure, easily accessible, backed with an excellent code for syncing and remains the industry best for its ease of sharing files on the cloud. Sunrise Calendar is a simple application from the house of Microsoft for planning your day. And this is the best alternative to the bulky day planner. It makes easy to track of things on your smartphone/tablet/PC as it also integrates with other apps such as Facebook, Trello, Foursquare etc. The purpose of time management is well served by the app. As a professional with honed observatory skills, you never know what to take note of and what kind of observation to take of out of nowhere. Lo and Behold! Evernote! The one stop solution to all your note taking needs. Organize your ideas, turn them into illustrations, share with people. Believe it or not, Evernote really isn’t just a note taking app but a digital assistant for all your needs. More often than not, too many culprits and celebrities…oops…are dropped off all criminal charges due to lack of evidence. Just the way, the justice system works, the audit world lives on proofs and evidences. And none other Chartered accountants and lawyers hear the awfully most number of half truths. 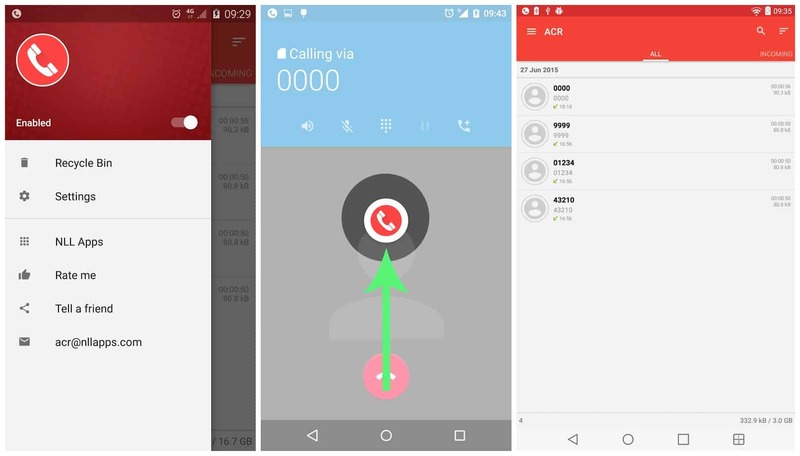 The call recorder acts as a good defence by recording trivial phone calls. Also a great life saver at times. CamScanner converts your smartphone into a mini scanner. It utilizes the phone’s camera to quickly scan documents, receipts, business cards etc and converts them into file formats of our choice. The app optimizes scan quality with its crop and enhance feature, which is also why the app stands out in the crowd. The scanned document is also made easy to share. If there is no scanner for proofing, this app comes in very handy for all professional purposes. Pocket is your place to quickly save, discover, and recommend the best, most interesting stories on the Web. If you are busy with your work but are keen to read/watch something on the web, simply save it to Pocket to access it later. You can add tags to such bookmarks and as a bonus, even listen to your favorite articles using the Text to Speech engine. Previous articleList of Best Upcoming Android Phones 2016. Next article9 Best CM13 Themes for Android Phones.